Early learning plays a big role in children’s development. Even you send your child to preschool, parents interaction with kids still is very important. What can you do with your preschoolers, so they will love learning? Where do you go to find the right toys and books that will fit your children’s development stage? 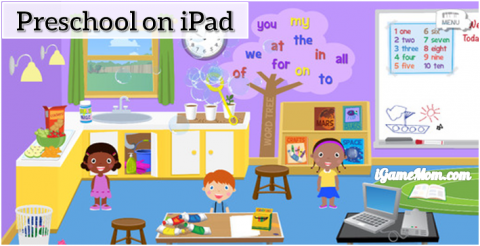 Today’s free app Preschool Parent Guide is a perfect tool for you. 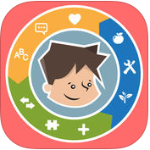 Preschool Parent Guide is a free app. It has guided activities and recommended toys and books based on child’s age and developmental stage. When you just start the app, it asks you to sign in with Facebook. This is the only thing I don’t like about this app. I’d rather to see more options to sign up, such as email. But once you sign in, you will be asked to put in your child age, and answer two questions about your child. You don’t need put child’s real name, a nick name should work. Based on the information you put in, you will see recommended activities and tools to help your child learn. I like the variety of different activities. There are a total of 700 activities in the app. Some are for math, some for language, some for emotional recognition, … After finishing an activity, you earn points. With the points, you can unlock more activities. As you do more, the more points you earn, the more activities you will unlock. The activities are designed based on your child’s progress, so you know these activities, books and toys you are using are right at your child’s level. For each activity, there is a video showing you how to do it, and then there are tips on how to interact with kids while they are playing. For example, to encourage kids reading, one of the activities is to collect trading cards. Then you will find tips on reading aloud with kids what is on the card, sorting the cards in different ways, … To go further, you will find recommended toys to expand child’s interest. Overall Preschool Parent Guide is a very helpful tool for busy parents to find ideas to engage with kids and help kids learn. It is an iPhone and iPod app, but also works on iPad. It is Free.